A 5-year-old Somali girl needs treatment for kidney cancer, but she can't get to the United States. 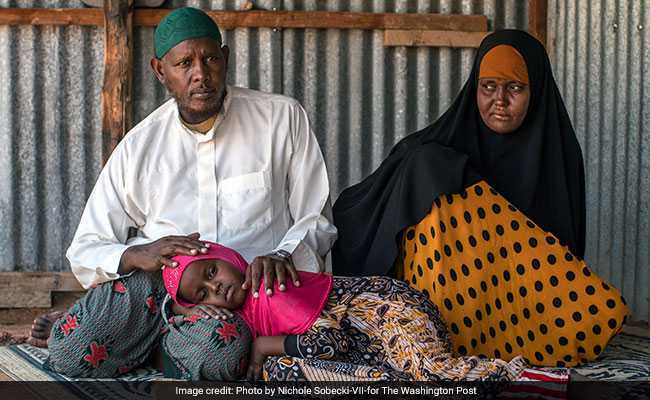 Dadaab Refugee Camp, Kenya: The doctors told Timiro Hassan that her daughter could survive. The kidney cancer could be treated. But Hassan ran into the same hurdle as hundreds of refugees with urgent medical conditions: the Trump administration's new security restrictions. There are now 11 countries facing a broad suspension from the U.S. refugee program. Even people with potentially deadly - yet treatable - illnesses are being blocked. Some refugees with severe medical conditions have already died while waiting for the admissions to resume, advocates say. The United States has been a global leader in resettling refugees since the aftermath of World War II, when it accepted more than a half-million displaced Europeans. But the White House says the new pause is necessary to improve vetting procedures for people from high-risk countries such as Somalia, where an Islamist extremist group, al-Shabab, is battling the government. U.S. authorities say they will consider exceptions on a case-by-case basis. People who work at this camp of 250,000 refugees say, however, that they have seen none approved since late October. "The U.S. always recognized that resettlement was a humanitarian program - that it saved people's lives. These changes have been devastating," said Sasha Chanoff, the founder of RefugePoint, a nonprofit group that refers urgent cases to the State Department for resettlement. Last year, Nimo was taken to Nairobi, where one of her kidneys was removed and she received a round of chemotherapy, enough to save her life - at least temporarily. But more radiation therapy would be needed to eradicate the cancer and keep her alive. U.N. refugee officials consulted the National Council of Churches of Kenya, which sometimes funds medical treatment for people in the camp. That made resettlement in America Nimo's only option. Her family was already in the pipeline to be moved to the United States - along with 14,000 other residents of this camp. But with Nimo's condition worsening, they needed to expedite the case. With the Trump administration's restrictions, that has not been possible. Not a single Somali refugee from Dadaab has been resettled in the United States since late October, refugee officials say. On Abdi's desk, the number of medical emergencies is growing. 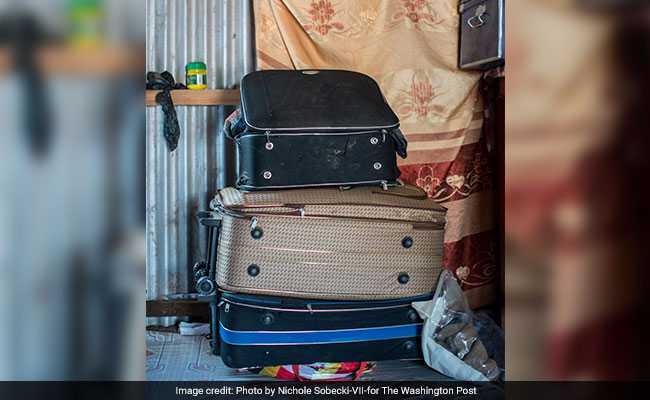 He keeps the cases in a bulging blue binder labeled, "Resettlement." Last month, one of the children who had been waiting for his flight to America - a 3-year-old boy with a treatable congenital heart condition - died, Abdi said. More than 50 other cases have been designated as life-threatening. Since President Trump's first travel ban was introduced in January, suspending refugee admissions and arrivals from seven mostly Muslim countries, the resettlement of Somali refugees has been nearly paralyzed. Eventually, the White House removed the stipulation about refugees from its executive order, enforcing the ban instead on visa applicants. The State Department said in a statement that it could not comment on individual cases like Nimo's because of privacy concerns, but that in refugee admissions, "the safety and security of the American people is paramount." The department said it could allow refugees with urgent conditions into the United States while the government reviews its vetting procedures. 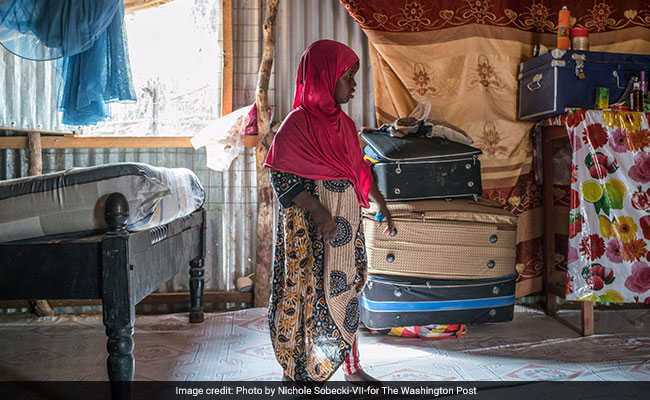 "We continue to receive referrals from UNHCR for vulnerable cases - for example, urban refugees, single mothers, vulnerable women, and people with medical conditions," the U.S. official said. "Processing times may be slower because of new security vetting procedures." Across Kenya, there are dozens of urgent refugee medical cases on hold. 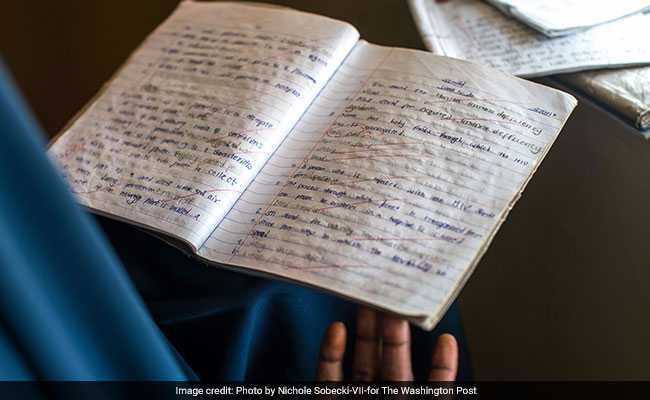 One involves a Somali 12-year-old named Samira Abdullahi, who is bedridden on the second floor of a Nairobi apartment, with a life-threatening congenital heart condition. In her medical file, a doctor working with the United Nations described the treatment that might help her. "This is not currently available locally," he wrote. The consequences of the White House's refugee policy are already clear in data released by the State Department. 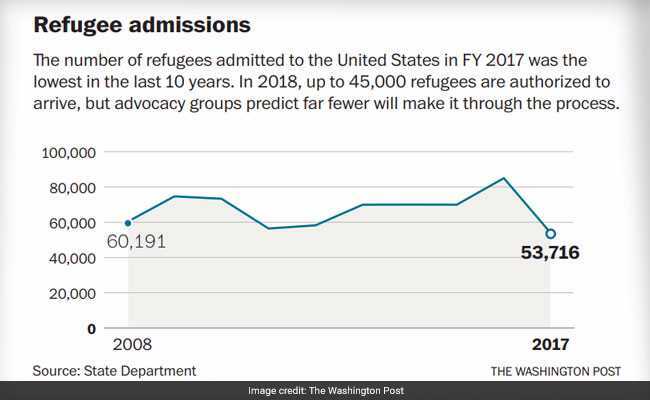 Although the U.S. government allotted 45,000 slots for refugees from October 2017 to October 2018, it is receiving far fewer than that. Between October and Dec. 10, it had resettled only 3,553. If that pace continued, the United States would only accept about 17,000 refugees during the fiscal year. That would be the lowest refugee admission since 1980. The United States is among the few countries in the world that gives priority to refugees with urgent medical conditions. In October, U.N. officials looked for other resettlement options for Nimo. Canada and Sweden sometimes accept urgent cases, albeit in very small numbers.